How can you set up Radare2 webui in Kali or Ubuntu or any other OS? I've tried so many different methods but none of them have worked so far. I think both of them are debian based so that might be the reason it isn't working. any suggestions on a distro which it would work? 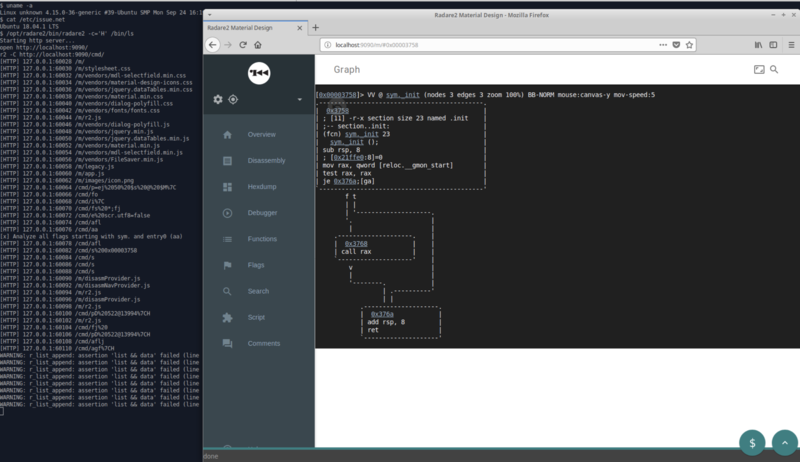 radare2 -c='H' <binary> can run radare2 with web interface. I guess you are using apt-get package manager for installing radare2, r2 deb package has a bit problem (Web interface files aren't available in deb version), It's better to install the latest version of radare2 from git. Not the answer you're looking for? Browse other questions tagged linux radare2 websites or ask your own question.